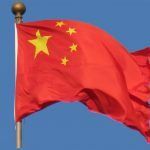 According to a news release from the United States’ Department of Justice, two Chinese hackers with alleged government ties have been charged with serious cybercrimes. The hackers, Zhu Hua (朱华) and Zhang Shilong (张士龙), are being indicted on charges of “conspiracy to commit computer intrusions, conspiracy to commit wire fraud, and aggravated identity theft” while acting as members of APT10 (a hacking collective with alleged ties to Chinese Ministry of State Security). These crimes primarily focus on the stealing of classified data from military and scientific sources like NASA’s Goddard Space Center and Jet Propulsion Laboratory, the Department of Energy’s Lawrence Berkeley National Laboratory, and the United States Navy. Through their involvement with the APT10 Group, from at least in or about 2006 up to and including in or about 2018, Zhu and Zhang conducted global campaigns of computer intrusions targeting, among other data, intellectual property and confidential business and technological information at managed service providers (MSPs), which are companies that remotely manage the information technology infrastructure of businesses and governments around the world, more than 45 technology companies in at least a dozen U.S. states, and U.S. government agencies. The APT10 Group targeted a diverse array of commercial activity, industries and technologies, including aviation, satellite and maritime technology, industrial factory automation, automotive supplies, laboratory instruments, banking and finance, telecommunications and consumer electronics, computer processor technology, information technology services, packaging, consulting, medical equipment, healthcare, biotechnology, pharmaceutical manufacturing, mining, and oil and gas exploration and production. Cyber-espionage is nothing new and it is only going to continue to grow with time. As long as the world has governments looking to get a leg up on their competition and achieve total supremacy, there will always be attacks like this. The CIA has done the same, as has Mossad, MI6, the FSB, and, in this instance, the MSS. Probably the most inaccurate reporting I've ever read. Plea deals? The two suspects are located in China. I wrote this a long time ago and it was just published. My sources then were accurate. Since you took the time out of your day to insult me instead of doing something more productive, and since you think my reporting is so inaccurate, feel free to never read my articles again.